With the exciting, yet stark realization that we have moved into another year, it’s hard not reflect on the past year to make plans for the new year. I love the quote by Nelson Mandela, “I never lose, I either win or learn.” I’ve come to feel the same as Mr. Mandela with every experience and opportunity. It’s great to reset, focus, repeat, build and always improve on what works and chop up what didn’t as an experience and perpetually MOVE FORWARD! We had several WINNERS from our “Holiday Giveaways” throughout the year and were very happy to receive emails, social media posts and letters of appreciation from the WINNERS. We received and added more authentic African fabrics from Ghana to our Collection. 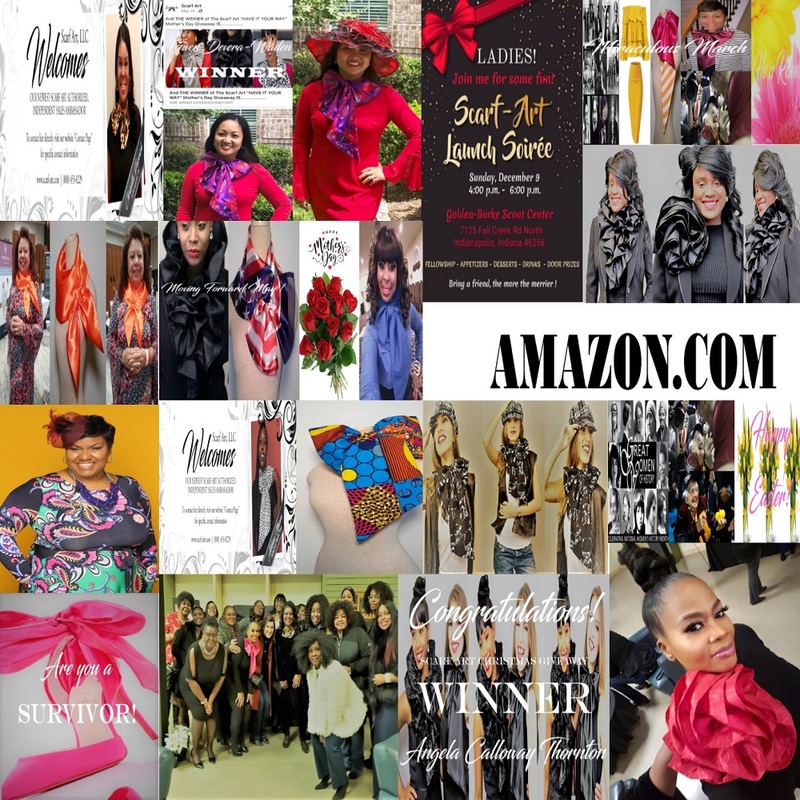 In 2018 our network of Scarf Art Authorized, Independent Sales Ambassadors grew and expanded. We provided encouragement to Breast Cancer Survivors and celebrated & honored Survivor Cicely McCray. We finished 2018 strong by adding AMAZON.COM as an additional channel of distribution to accommodate and provide more options for our customers and potential customers globally. Big or small, we perpetually THANK GOD for it all and look forward to another year filled with new opportunities and experiences. WISHING YOU ALL THE BEST IN 2019 & BEYOND!